Santorini is probably the most visited Greek island and definitely one of the most well-recognized postcards in the world. Azure blue waters against a backdrop of cliffs dotted with white buildings and blue domes, it’s truly a sight to behold. 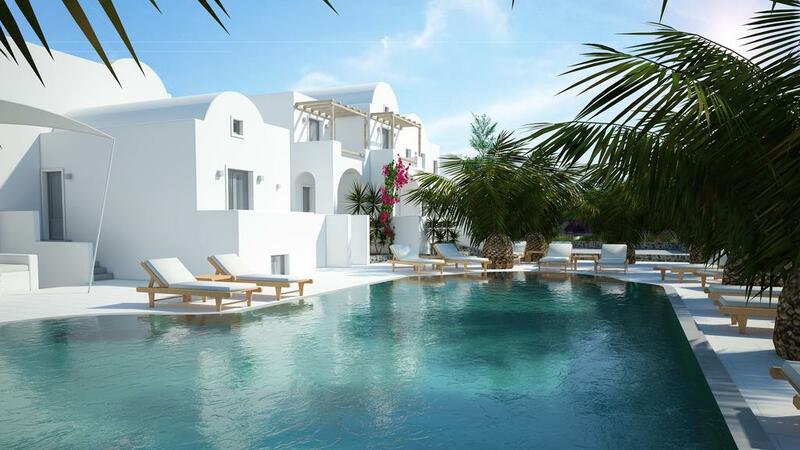 Santorini was formed when a volcano erupted and sank the middle part of the island. The town is built on the rim, which is why it is called the caldera (“cooking pot” in Spanish) and why the views are so spectacular. While topographically Santorini is not particularly conducive to children (the whole town is built on cliffs which means narrow pathways and steep steps everywhere you go). That being said, children are seen around and welcome, particularly in the summertime. 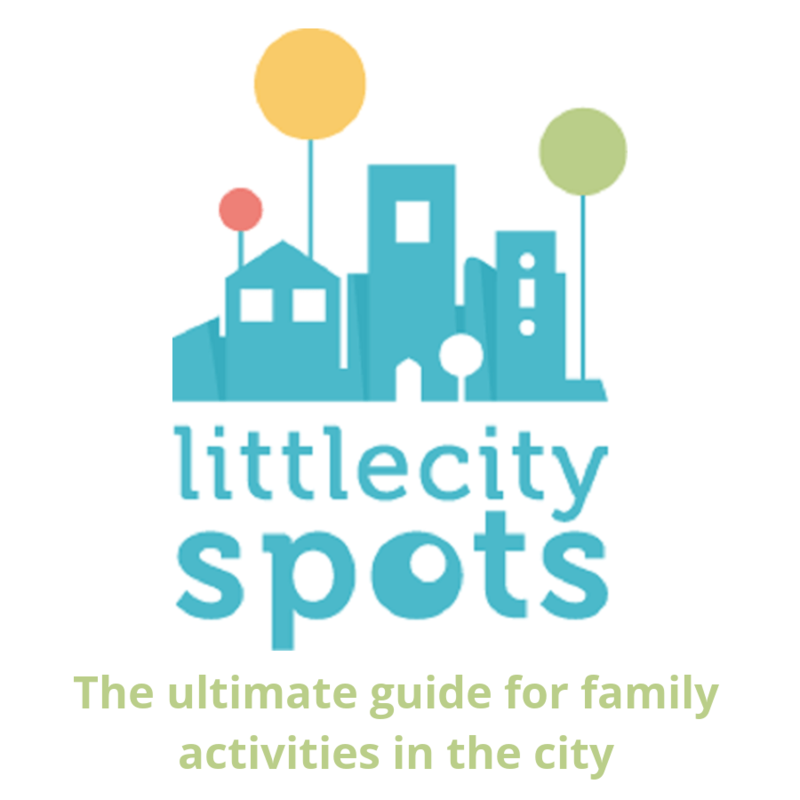 There is lots to see and to do for kids. 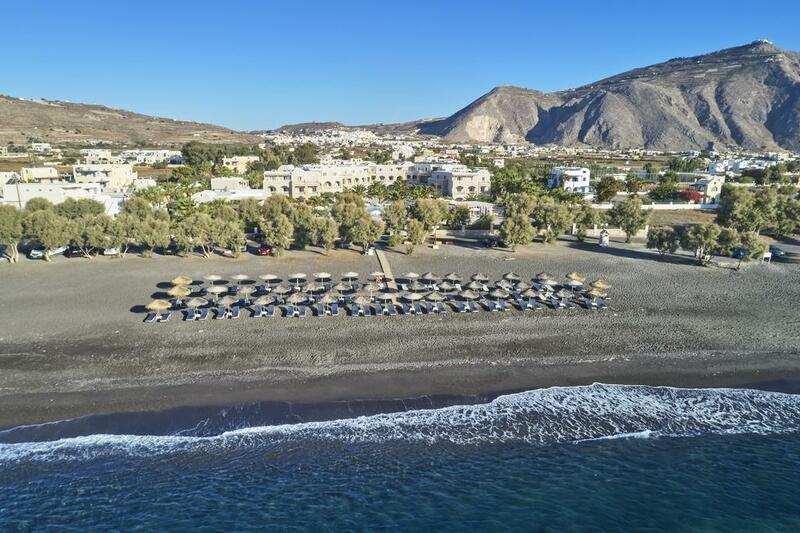 I have listed the best activities for families in Santorini in my post Travel Santorini island with kids. 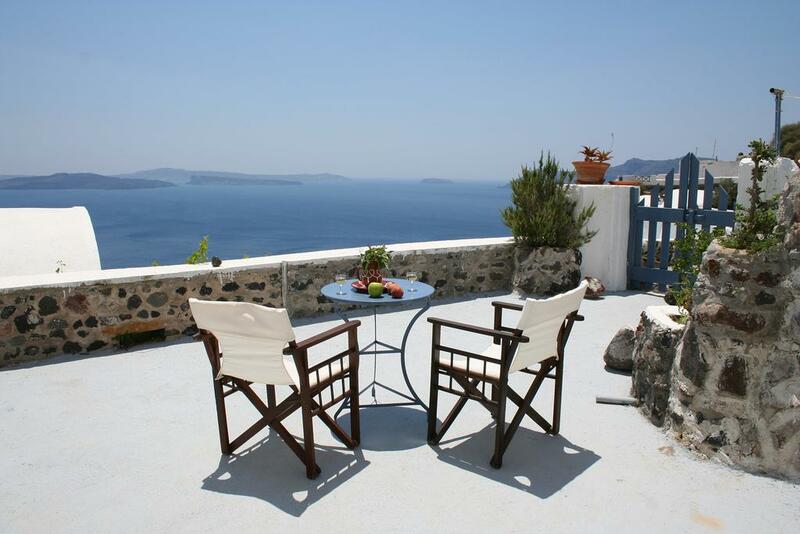 I absolutely love Santorini and have carefully selected these family-friendly hotels. 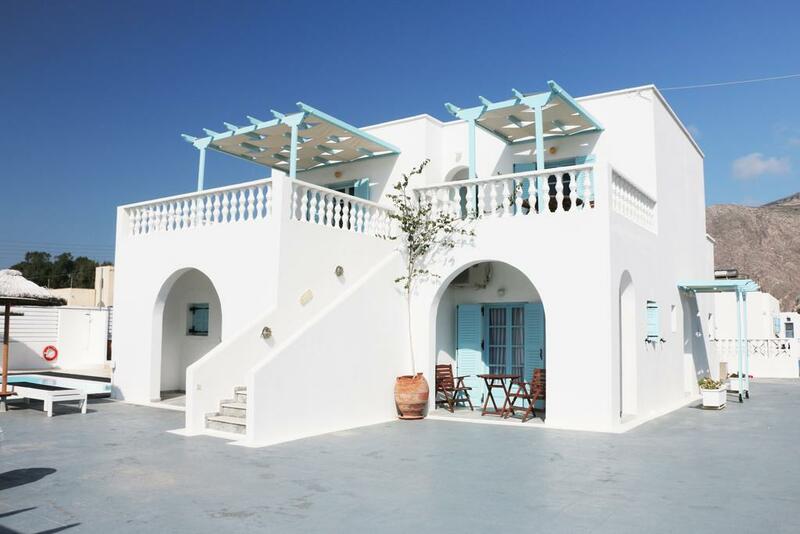 There are many hotels in Santorini with kids, depending on what you are looking for. Oia: Oia is the most famous village in Santorini, known best for its sunset views. Oia has gorgeous little winding streets with tons of shops, cafes and restaurants, and even a little playground. 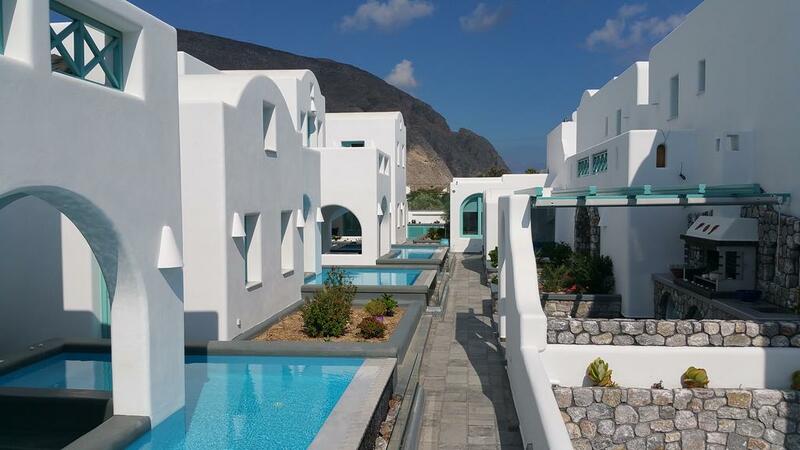 It is the most exclusive part of Santorini but if you want to enjoy the atmosphere and not move around too much, this is your best bet. 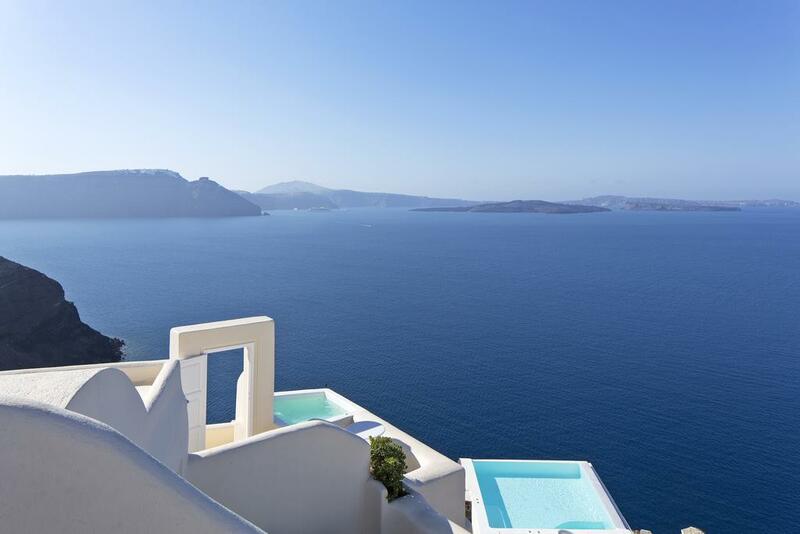 Imerovigli: Imerovigli is probably second best for views, which is still pretty spectacular. 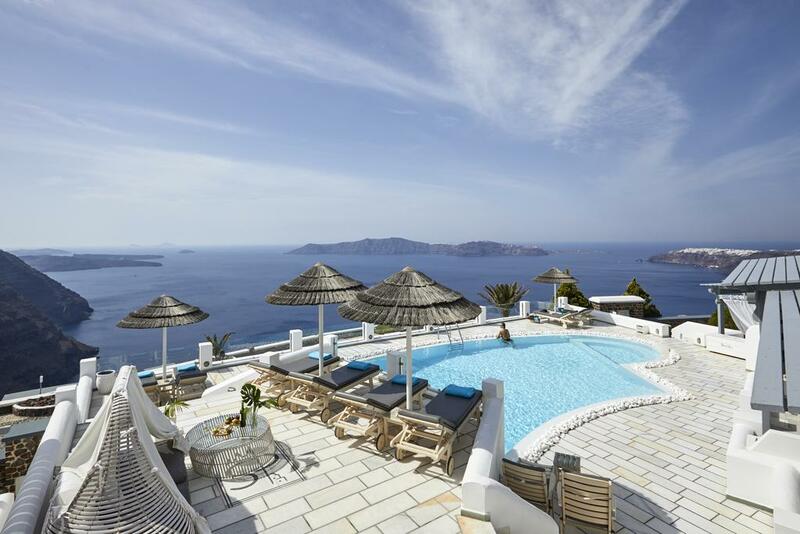 There is not much in Imerovigli outside of the line of hotels (and honeymooners) but Fira is a ten-minute drive away. Fira: Fira is Santorini’s main town and has much more activity than Oia which tends to feel more exclusive. This might be due to the cruise ships that arrive in Fira every day. Still, you can enjoy the beautiful sunset, the great restaurants, and the cable car to the port with the family. 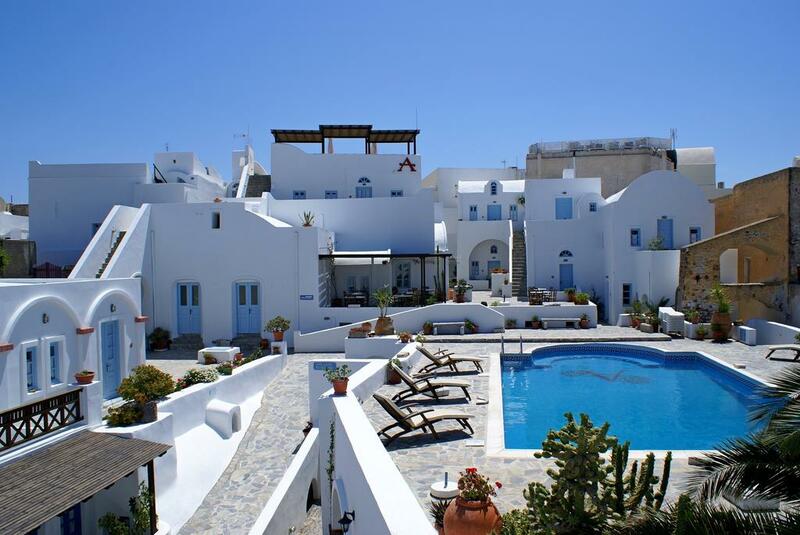 Have you already been to Santorini and what do you believe are the best hotels in Santorini with kids? 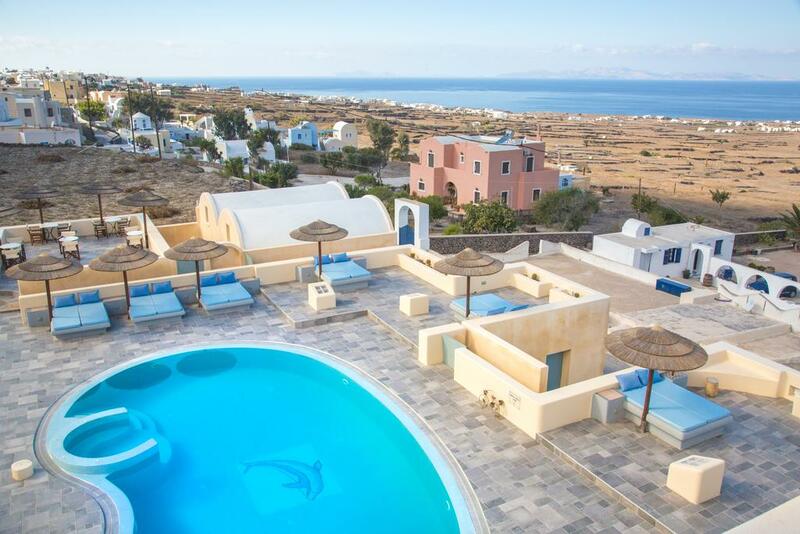 Disclaimer: This post with hotels in Santorini with kids contains affiliate links. This means that should you click on certain links, and then subsequently purchase a product, I will receive a small commission. It costs nothing extra to you but helps keep my site running. Thank you for supporting me in this way.